That’s our story, in fact. We seek to improve the quality of life for residents of Baltimore by ensuring that everyone is connected to their communities and to each other through vibrant parks and green spaces. Why? Because we believe that parks transform people. And we’ve been doing the math for 30-plus years: providing the necessary resources, funding and programs to ensure that all open green spaces are healthy and build community for the residents of Baltimore. We continue to make this happen — working neighborhood by neighborhood, one park and one person at a time — every day. And we encourage you to join us. 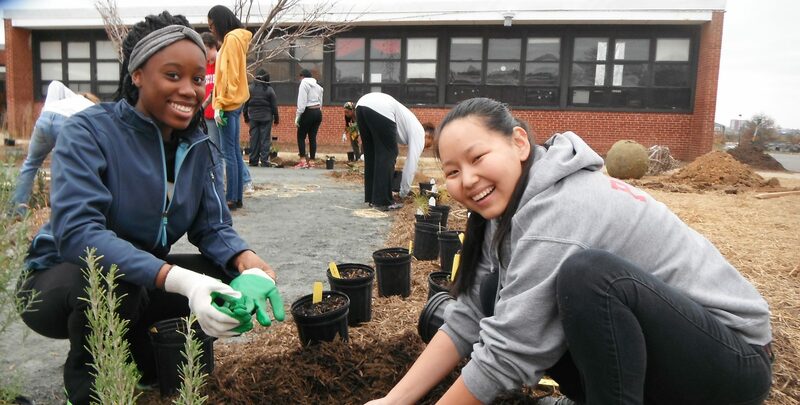 Help us ensure that that parks transform people throughout Baltimore by becoming a volunteer or making a donation today.